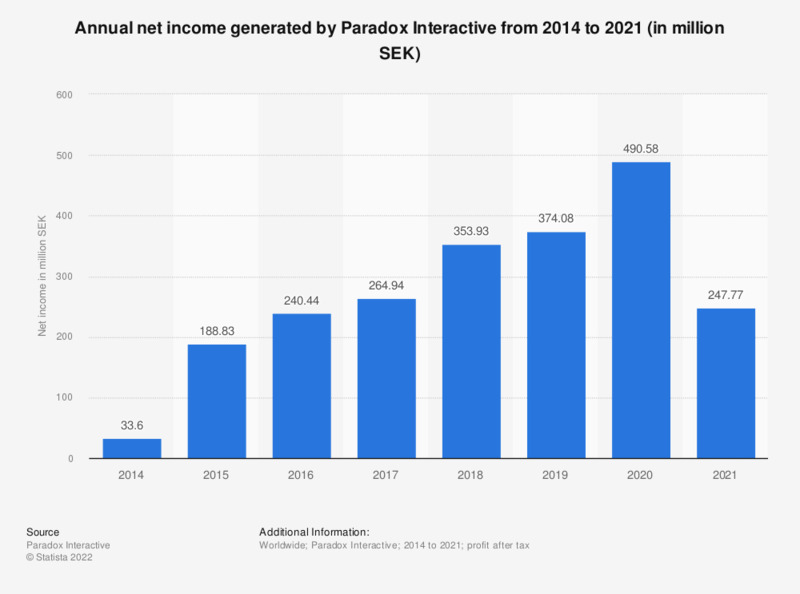 The statistic presents the annual net income of Paradox Interactive worldwide from 2015 to 2018. In 2018, the Swedish games publisher reported a net income of 353.93 million Swedish Krona. The company is known for games such as Stellaris, Cities: Skylines, Hearts of Iron IV, Europa Universalis IV, and Crusader Kings II.